With presidential ballot recounts making nationwide headlines, it's easy for those outside of North Carolina to forget that there's another recount underway in the state — one initiated by its own sitting governor, Pat McCrory. After one of the only Democratic wins throughout state politics this Election Day, McCrory lost handily to state Attorney General Roy Cooper. 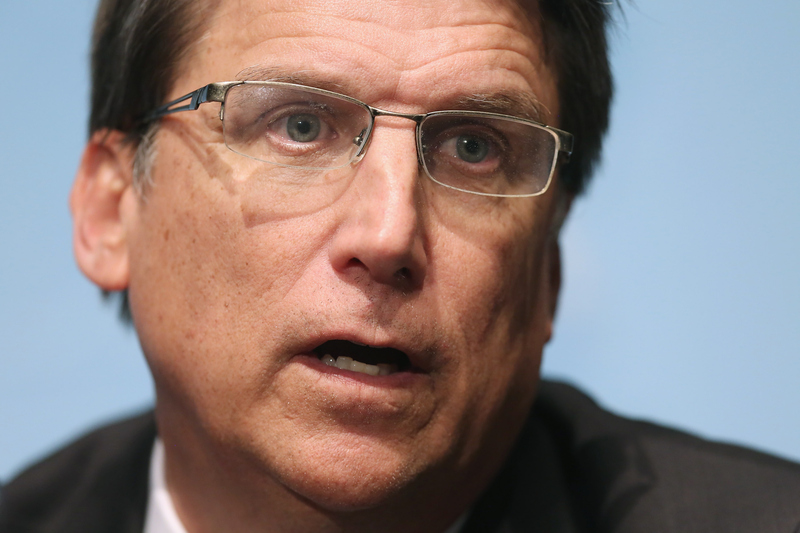 The loss is likely due to McCrory's support of HB2, the state's infamous "bathroom bill." Now, in his refusal to concede an election he evidently lost by at least 10,000 votes, the "bathroom bill" governor makes me embarrassed to be a North Carolinian. When McCrory won the gubernatorial election in 2012 and took office in 2013, it unfortunately wasn't the first time I'd lived in the city while he was in government. As a born-and-raised Charlottean, I had to call him my mayor from 1995, when I was four years old, until 2009, when I left the city and went to college. He actually wasn't the worst when he was mayor, and there's no way anyone who lived in Charlotte during his 14-year tenure as mayor could have foreseen what he would become. As an outspoken LGBTQ rights activist, HB2 understandably angered me and the countless other queer and trans people I know in this beautiful, screwed up state. It made North Carolina a worldwide laughingstock and messed up our economy, and worst of all, broadcast to our trans community that their rights and privacy are seemingly nonexistent. To call HB2 a debacle is an understatement — for three quarters of 2016, it was legitimately all we could talk or think about in the progressive circles I work and live in. Cooper's win on Nov. 8 was the light at the end of a very, very dark tunnel that engulfed both the entire nation and North Carolina politicos like me. In hindsight, watching McCrory's ascent from moderate Republican mayor to ultra-conservative governor should have warned us for what came next, but nobody expected for him to throw a full-on temper tantrum about losing. Taking a line from our new president-elect, McCrory began aggressively touting the voter fraud myth that caused our state's now-dead and incredibly unconstitutional Voter ID bill. He not only called for a recount — he went to multiple Board of Elections offices around the state to make the case for his voter fraud fantasy, and in doing so added "sore loser" to the laundry list of grievances against him. As someone who lives at the intersection of many marginalized identities (queer and Arab-American among the chief of them), spending my entire life in this state hasn't been easy. But there's always been a North Carolina I know of which the rest of the country seems to be unaware. In the North Carolina of Charlotte, Asheville, and Durham — the three major cities where I've lived — ethnic, religious, and sexual diversity aren't just tolerated but often celebrated. I've spent the better part of this year watching my state take hit after hit on a national stage, and wondered time and again if outsiders were right: is my state truly just a bastion of bigoted conservatism? Having worked in politics and advocacy here since before I was old enough to vote, I know deep in my heart and from personal and professional experience that it isn't. But I also know that the old guard represented by McCrory is so afraid of the progressive and diverse place that our state is becoming that it is willing to do anything, including embarrass us on a national level. While our beloved "Governor One-Term" continues to kick and scream like a petulant child on his way out of office, many North Carolinians like me are breathing small sighs of relief. Here's hoping that the door doesn't hit him on his way out, and that we can finally begin working on making the state what so many of us know it can be.